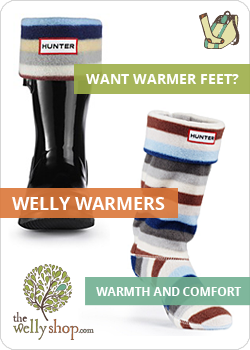 These stunning welly warmers look great. 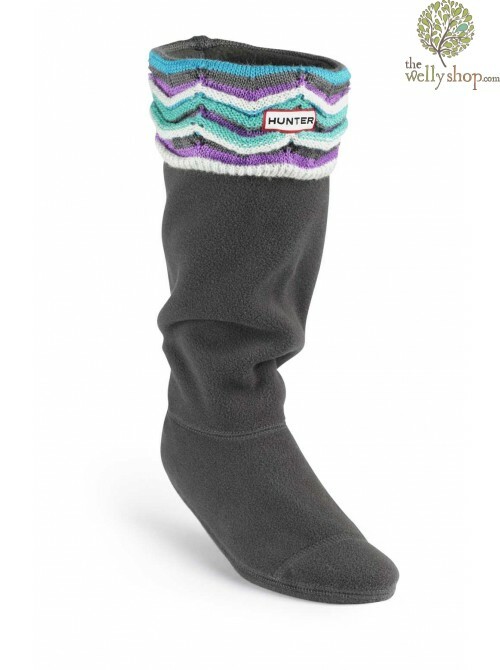 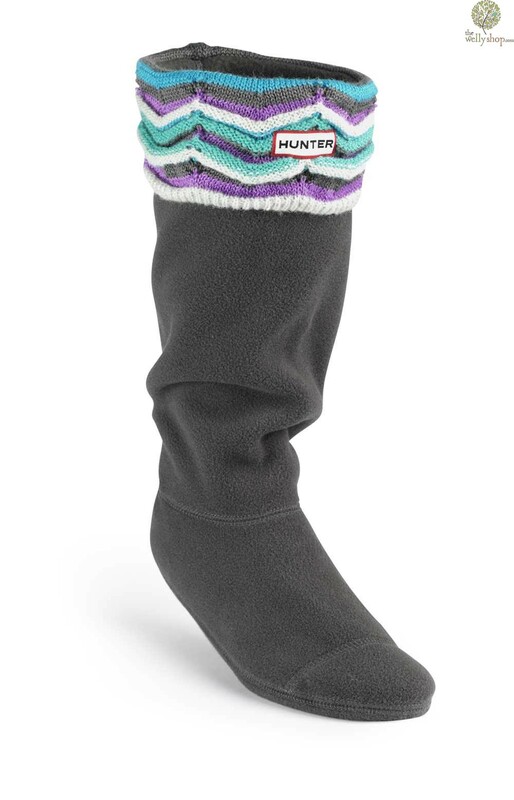 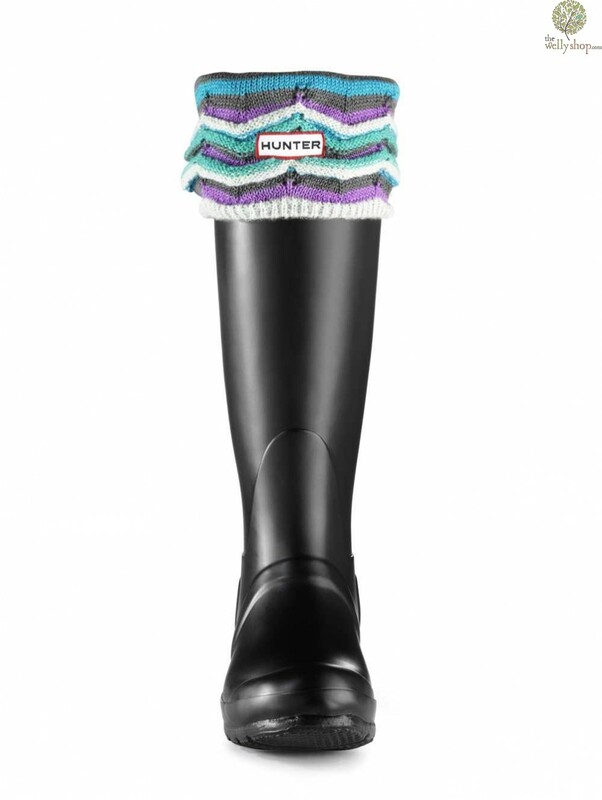 The knitted cuff of these welly socks features a unique zigzag pattern knitted using a variety of yarns to give a textured look. 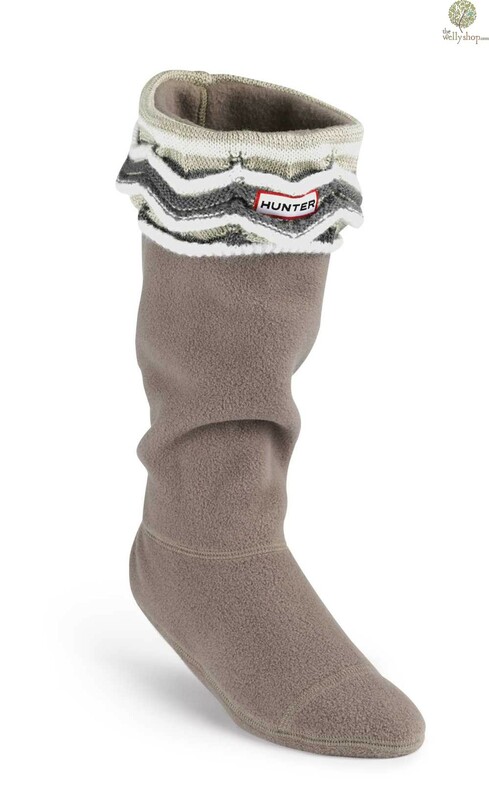 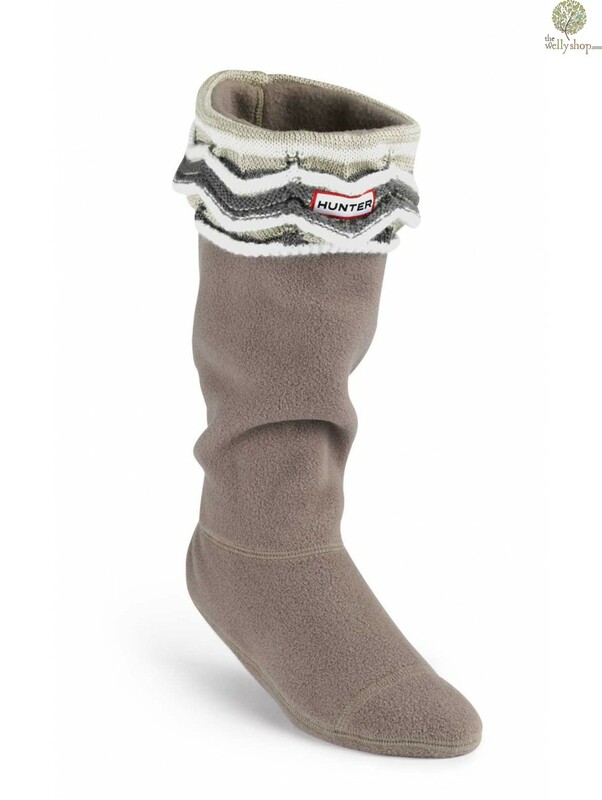 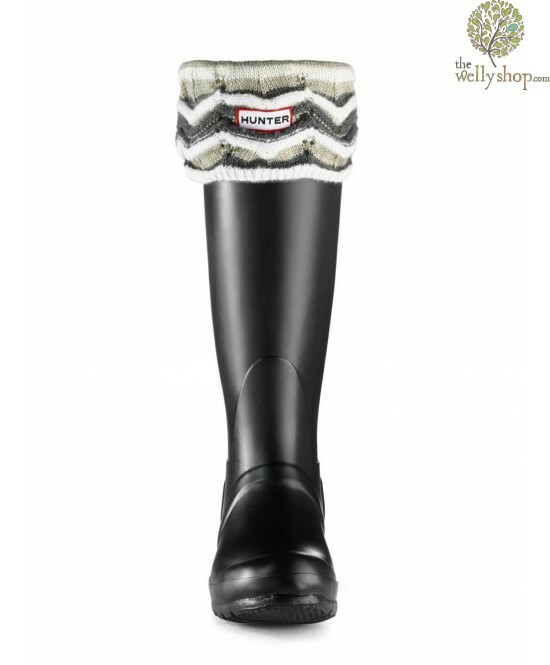 The welly socks are made from soft fleece to keep your feet cosy and give a snug fit in your boots. 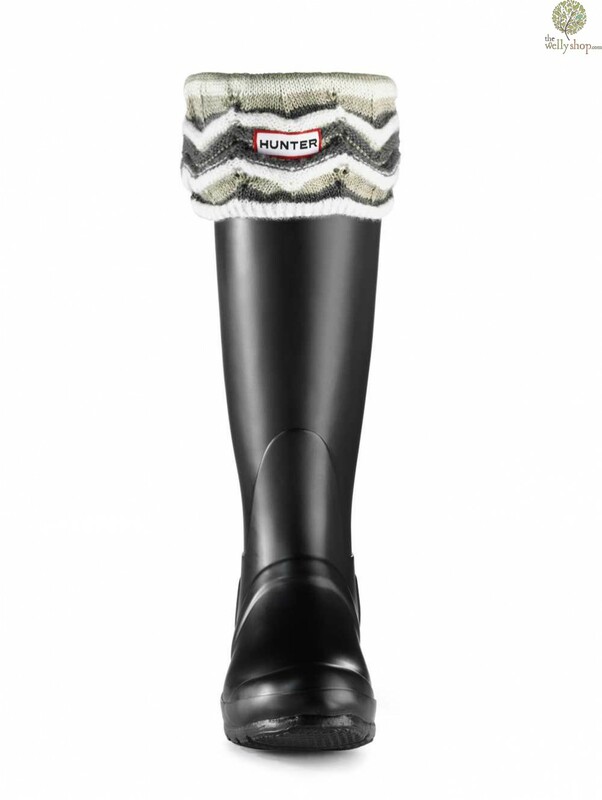 The cuff folds over to display the Hunter logo centre front.